Oracle’s CEO Larry Ellison is stepping down, the technology giant announced on September 18. Mark Hurd and Safra Catz have been named as successors, with both being given the chief executive title. 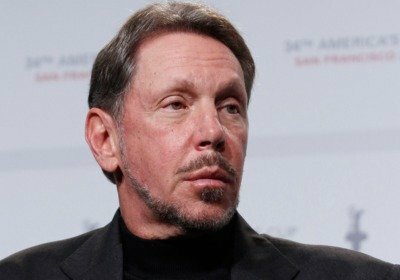 Larry Ellison, who is estimated to be the world’s fifth wealthiest man, will stay on as executive chairman and chief technology officer. He co-founded what would become Oracle with Bob Miner and Ed Oates in 1977. In a statement, Oracle board president Michael Boskin said: “Larry has made it very clear that he wants to keep working full time and focus his energy on product engineering, technology development and strategy. Safra Catz will run the manufacturing, legal and finance operations of Oracle whereas Mark Hurd will be in charge of the sales, service and business units. The software and hardware engineering teams will continue to report to Larry Ellison. “The three of us have been working well together for the last several years, and we plan to continue working together for the foreseeable future,” said Larry Ellison. Shares in Oracle dipped 3% in trading after markets had closed, before recovering slightly.